1. 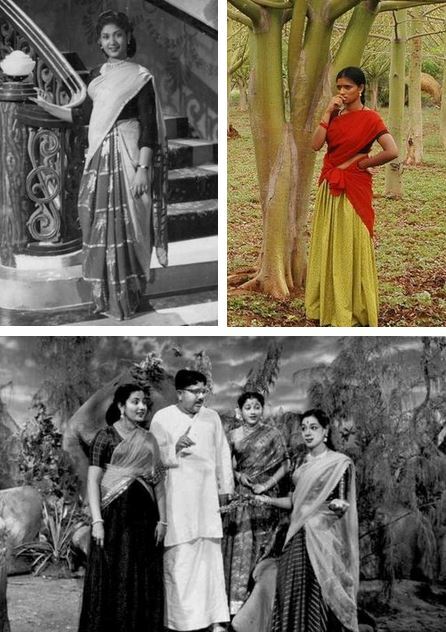 The half-saree aka pavadai-davani of South India. 2. Mekhela-Chador (I love these and they look splendid on my friend, Mosushumi Kandali. 3. Balika Badhu or the Girl Bride. This entry was posted in Tumblr, Vintage, Vintage Blouse, Vintage Dress, Women and tagged Balika Badhu, Child Marriage, davani, half sari, Indian fashion, Indian Women, mekhela chador, nathni, Nose Rings. Bookmark the permalink. My tumblr posts always seem to run ahead of wp too….. sometimes the even the tagged pages get endless so i group them on wordpress , so glad to have found your blog …….following u on tumblr from now, we call it pavada-paita in telugu ,and its come back in a big way with most sarees styled like the half-sari nowadaya – its a good thing ‘coz i feel it can make one look thinner. Thank you for dropping by. I sometimes have difficulty in locating all the regional names so thanks for letting me know the Telugu name for it.